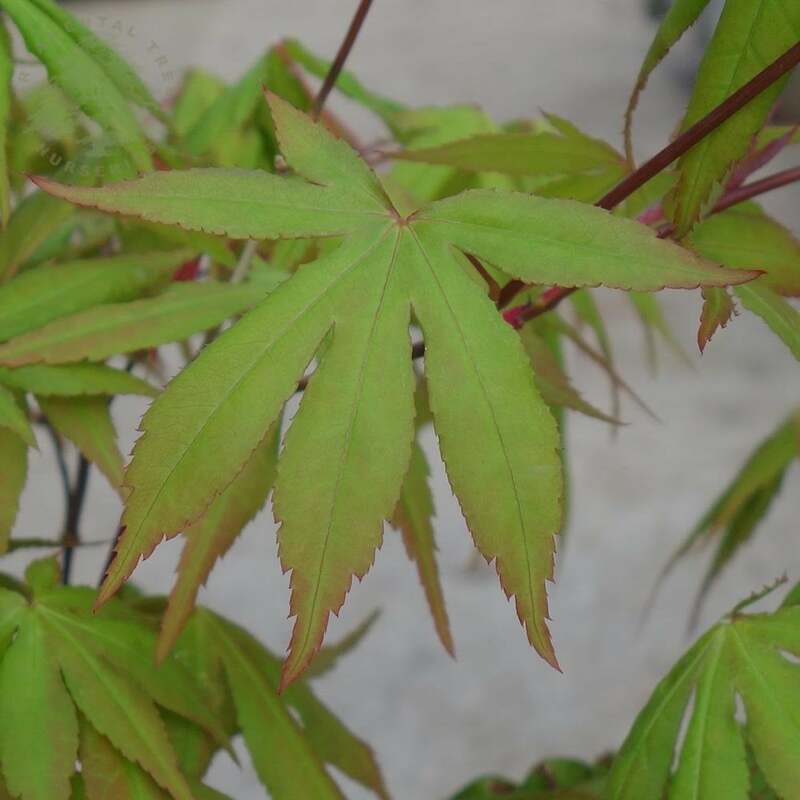 Acer palmatum 'Westonbirt Seedling' is a rare Japanese Maple variety that was cultivated at the famous Westonbirt Arboretum in the Cotswolds. The leaves have long lobes and emerge with hints of red before turning bright green for summer. In autumn, they take on various hues of red and orange to create a wonderful tapestry of colour. With moderate growth that makes it ideal for practically any size of garden, Acer palmatum 'Westonbirt Seedling' can reach 4 metres in height and 3 metres in spread after 20 years. It is best planted in a sunny or partially shady position that is sheltered from strong winds. Pot grown Westonbirt Seedling Japanese Maples can be planted at any time of the year. Firstly, remove all weeds and grass within a metre of your desired planting hole then dig a square hole as deep as your root mass and approximately 2x as wide. To help Westonbirt Seedling e establish more effectively, sprinkle root grow in the hole. When planting Japanese Maples, use ericaceous compost when possible as this encourages vibrant foliage colour. Using 50% of the original soil and 50% compost, fill in the hole and firm around gently. Make sure not to bank the soil up around the collar of the tree as this can cause problems. The tree planting guide has further information and videos. If you’re planting Westonbirt Maples in spring or summer, water well and regularly for the first few months. If you’re planting in autumn, you may only need to water a little. Keep an eye on young trees and increase watering if there are extended periods of hot or dry weather. If possible, use rain water instead of tap water as this is more acidic and better for foliage colour. We stock a range of irrigation kits for more effective watering.